One of the biggest changes in Apple’s new mobile OS involves how documents are handled; for the first time, iOS 11 gets a Finder-like system. One of the most consistent criticisms of Apple's iOS, the operating system used by the iPhone and iPad, is its limited ability to organize documents and data. Until now, documents created on a mobile device have been saved to an app's file space, and opening a document generally involved reopening the app — usually with no easy way to sort and organize the files. The idea behind that process — sandboxing — was to isolate app data from other apps and the operating system, and so limit the potential for security breaches. But the sandboxed nature of iOS apps meant documents could only be saved to, and then accessed from, the apps that created them. Apple over time added ways of sharing data between apps and to contacts, making it easier to share documents first via email and text message and more recently by using online services such as DropBox and OneDrive. Still, users have longed for more complete "file system access" — a way to organize, tag and track all documents from a single location. And in iOS 11, Apple has finally delivered, with Files. 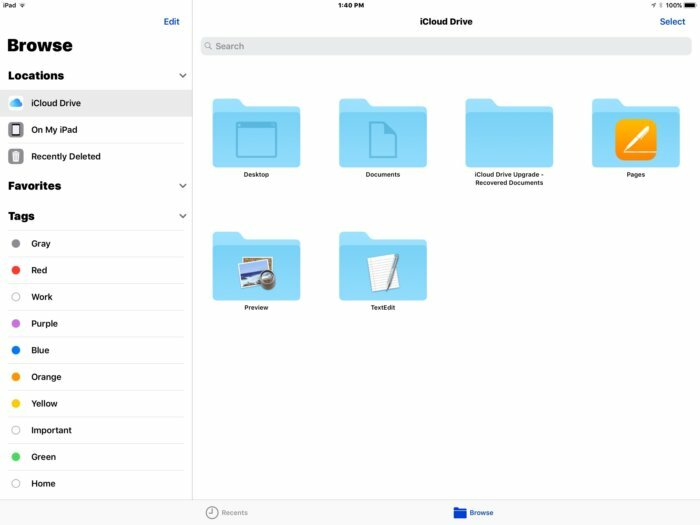 Files is a new document manager for iOS 11, which is in public beta now and due to be released this fall. In essence, Files is a retrofitted combo of the iCloud Drive app and a mini version of the mad OS desktop Finder — optimized for mobile devices and designed to help users be more productive. 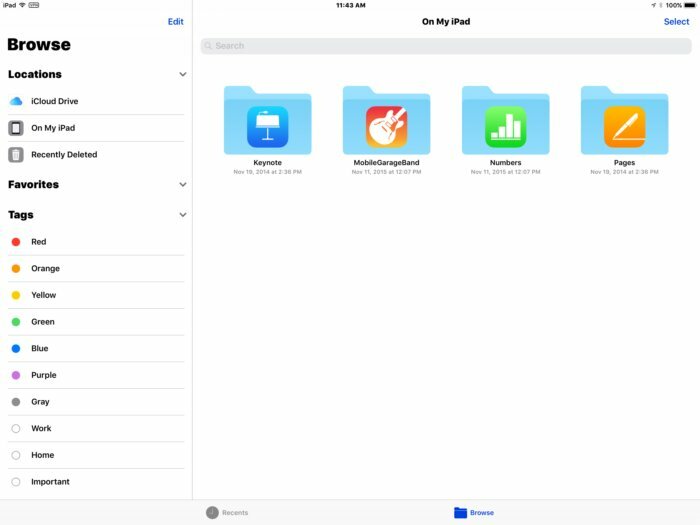 Documents created from any app that supports the new storage system are saved to the Files app. 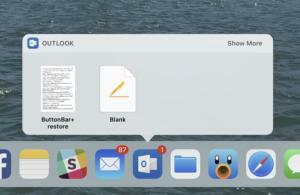 Some apps may already have established folders, and you can drill down into them and create nested folders, organize the view by icon or list, and sort documents by size, date modified or Finder tags. Here's an example of how this works when you create a document in an app, such as Apple's word processor, Pages: Open the Pages app, tap the "create a new document" button, and a blank document will open. The top-center title is the name of the document, and tapping the name of the document lets you change the document name to whatever you like. This action saves the file to iCloud Drive automatically. The second method is tried and true, the one critics have complained about in the past: Open the app and select your document through the document selection screen. The document picker itself offers only a few sort options. These sources are accessed by tapping on Locations to the upper-left of Files. This allows you to choose different document locations for the file you're looking for, including iCloud Drive, DropBox and other online file depositories. You can browse files by tapping through to folders until the appropriate document is found. The new Files app in iOS 11 makes finding documents easier, since it collects them from multiple sources in one place. The Locations section also houses options for Favorites and Tags for easy access to files tagged as a favorite or via label. Depending on the services you use, you can access data from OneDrive, Sharepoint, DropBox and even OS X servers. And if iCloud Drive Desktop and Documents sync is enabled on your Macs (via System Preferences: iCloud: iCloud Drive: Options: enable Desktop and Documents folder), you'll be able to access the Desktop and Document contents of your remote Macs from your iPhone or iPad. There are still some limitations, however, since not all data is available via Files. For instance, to access photos and videos you have captured with the iPhone's camera, you still have to navigate to the Photos app. Though it's still in beta, Files — when used in concert with other refinements included in iOS 11 — provides a detailed sneak peek into the productivity changes coming to Apple's mobile lineup. This is especially true for the iPad, which will be receiving interface updates such as a new Dock, multitouch drag and drop, and changes to the way multitasking across apps is handled (including keeping coupled apps together when multitasking). The ability to manage document data may be late to iOS, but it has been artfully integrated into iOS 11 in a way that should make using Files second nature to most users. 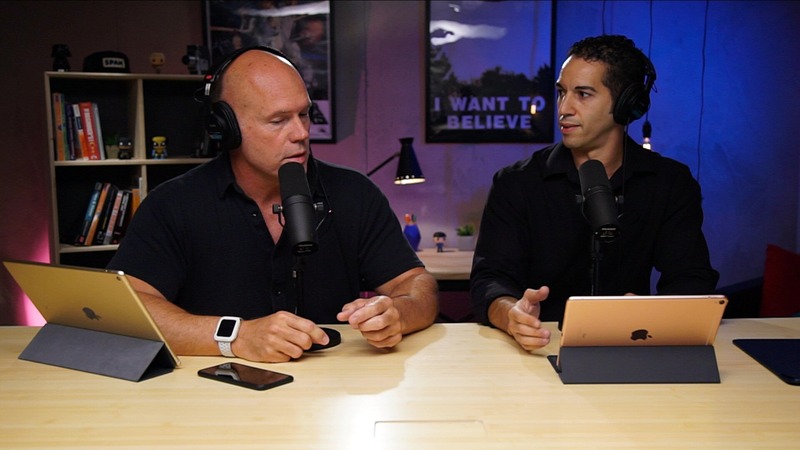 And it provides a much-needed bridge over the productivity gap that has existed before now between tablets and more traditional desktop computing.